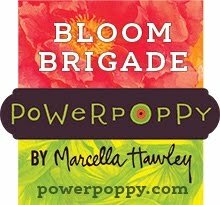 Another round of Power Poppy beautiful today! I know I’m getting to sound like a broken record, but we’re only half-way through! I have two more cards to show you with two amazing sets. We’ll start with the amazing set Always Here. This is a previously released digital image - Heart Abloom, now available in polymer, with some beautiful sentiments included. I love the variety of flowers and fruit included, and how each of the elements sing spring! I really had an awesome time colouring this one. I wanted each of the flowers to have their own palette, and yet have everything tie together cohesively. 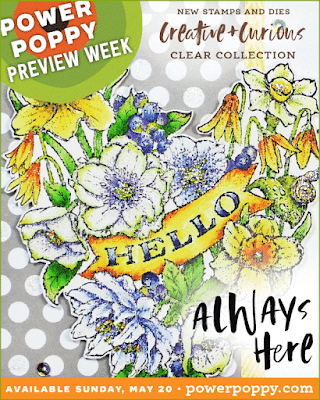 So, you’ll see how bits of colour carry over between the colour of the flowers. After I had coloured the heart, I trimmed it out with a tiny border and set it aside because I wanted to create a funky background. I might have mentioned before that I’m not an “early adopter” of anything, so I know Distress Oxide inks have been around a while aready, but this was my first time using them to create a background. This is Distress Oxide Evergreen Bough. I sponged it onto the background in layers working on creating a Ombre feel. So, more ink on top and less layers on the bottom. I spritzed the cardstock to let the oxidation happen and then used my heat gun to dry between layers. I really like the dreamy effect it has. After I layered the main image over the background I spritzed the whole thing with a shimmery spray. You might be able to see a bit of it on this photo above. It sure looks pretty in person! For accents I added some shimmery ribbon, twine and clear sequins. On the inside I added another thin strip of the background I worked on and a sweet little sentiment and snail from the set. So cute! Now we’ll move onto what I think is the most unique set Marcy has in the collection this month! The set has a beautiful honeycomb stamp, which I can’t wait to use, but because I also had a honeycomb stencil, I decided to use it with some embossing paste to give it some rustic dimension. After it was dry, I sponged some warm yellow ink and made it my background. 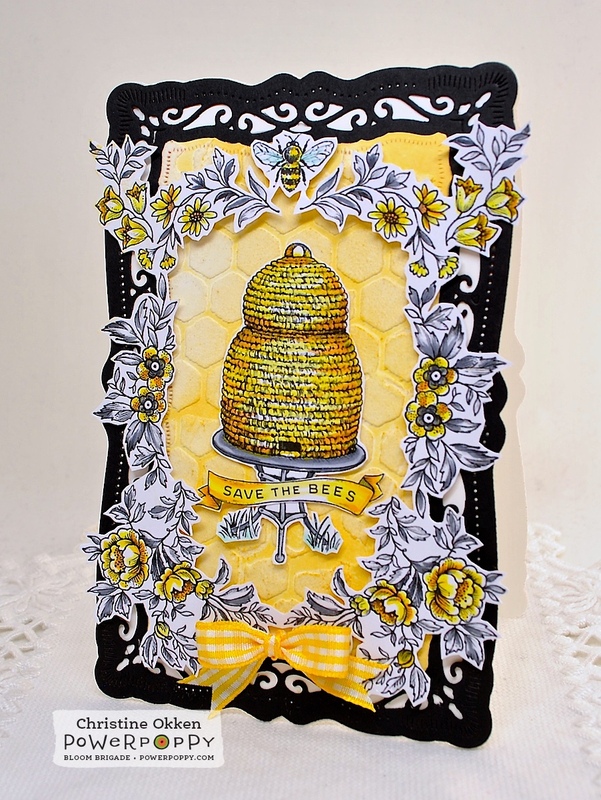 A lovely Spellbinders Radiant Rectangles die cut in black becomes the card base. 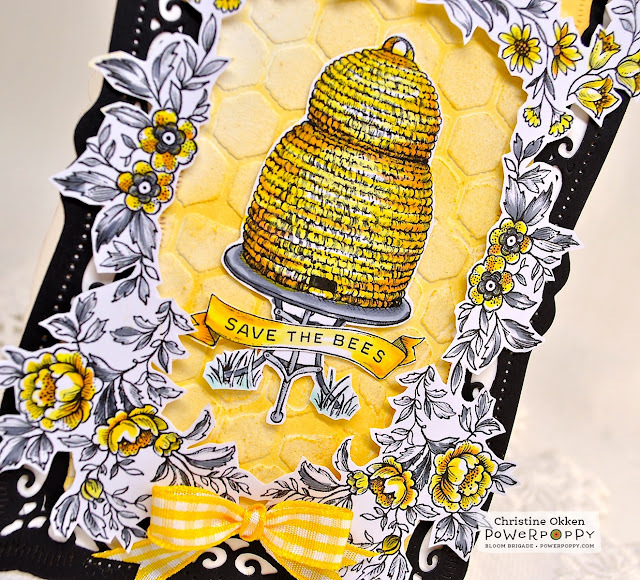 A wee yellow gingham bow finishes off the design. So sweet! I am going to love creating unique designs with this set! 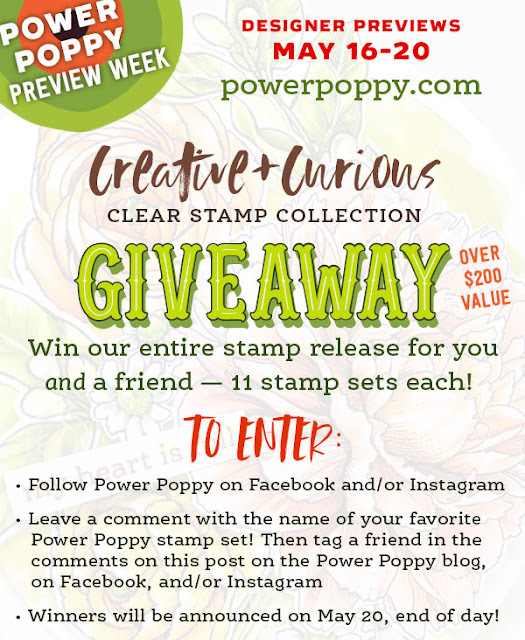 Have you seen Marcy’s amazing Giveaway News? The whole gang is bringing you design inspiration with these two sets today, be sure to visit! 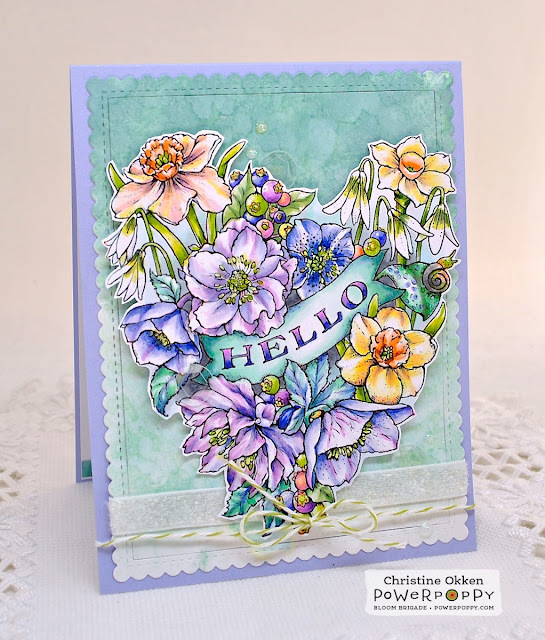 These are absolutely stunning, Christine! 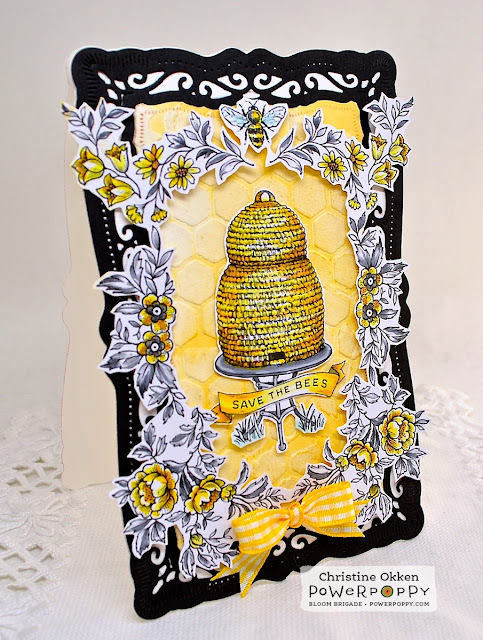 Love the colors on the heart bouquet and that frame around the bee hive is magnificent! Love your gorgeous work! I love your frame art! So clever and beautiful. Ack! I just bought three PP digis I'd not yet added to my collection, including Heart Abloom. Fans will be so happy to have this in clear, especially after seeing what you've done with it. I'm a slow adopter, too, and still don't have the oxide inks. There are way too many things to love and want. Speaking of... 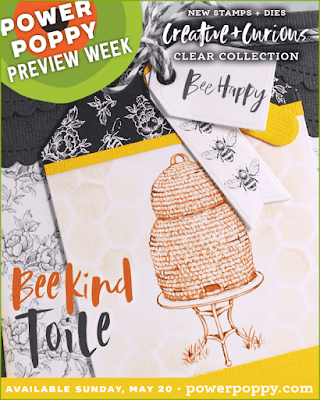 I love and want Bee Kind Toile! 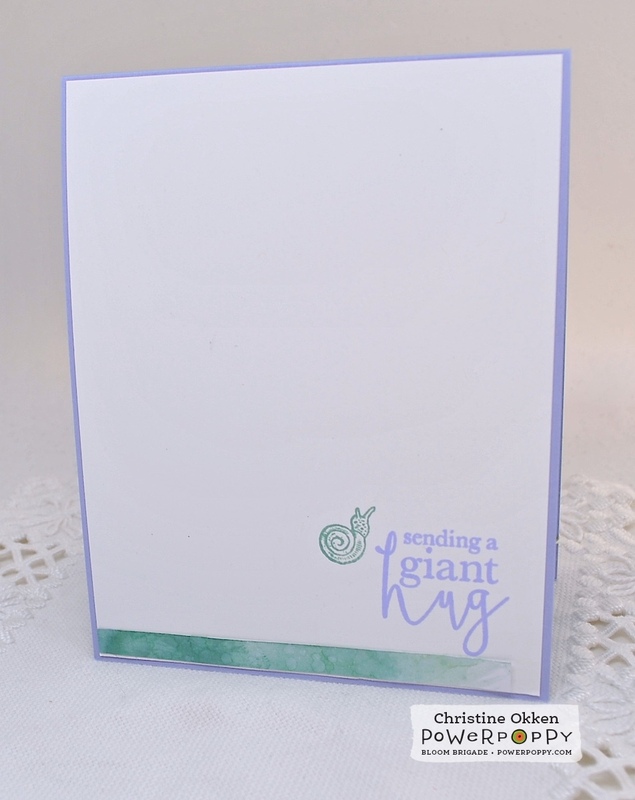 You've represented it beautifully with your card. You've been very busy creating gorgeousness and I'm loving it! Wow, both of your kids are just stunning! The bee one really pops out with the black and yellow theme, and the honeycomb background is just amazing! Whoa I can get lost looking at your beautiful colored heart arrangement it's so dreamy! I'm glad you found some precious gingham ribbon for your toile inspired card don't you just love adding ribbon once and a while! Both cards are stunning! The colors on the first card are very soothing and I love that sparkle. The second card took my breath away! I love the composition of the card and how nicely the elements flow. That honeycomb background! Swoon! Awesome! Awesome! Awesome! Beautiful flowers, love your coloring of them! 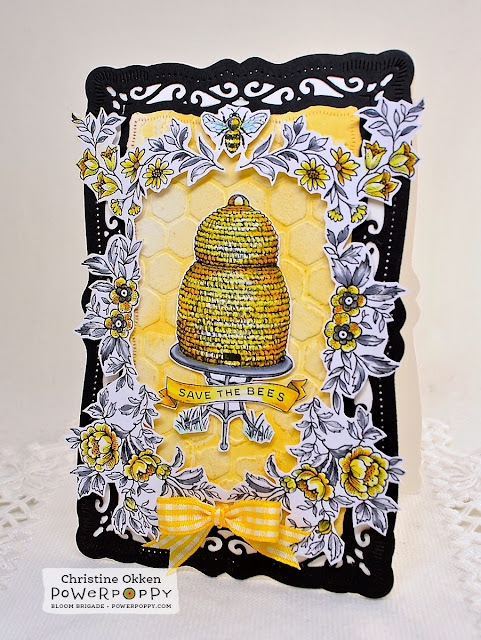 My favorite is how you framed the bee hive, so pretty! 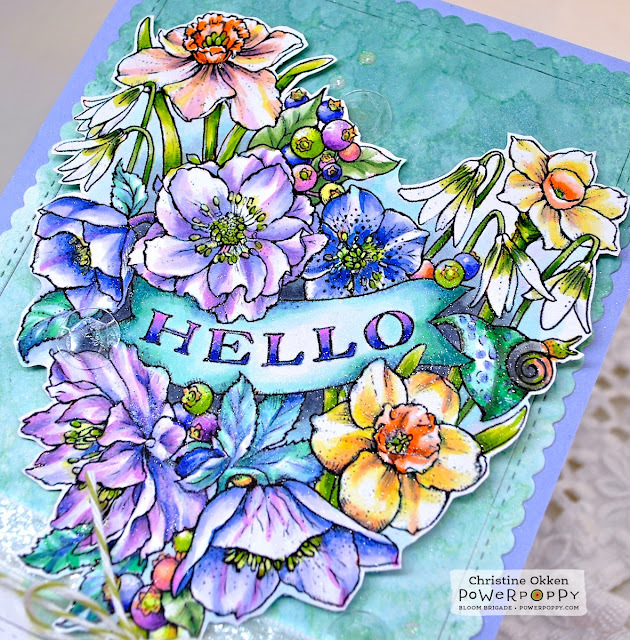 Sigh.... two more incredible card creations! I love the subtle coloring of the bloom heart.. so soft and pretty! Wowsers... the bee card is brilliant! 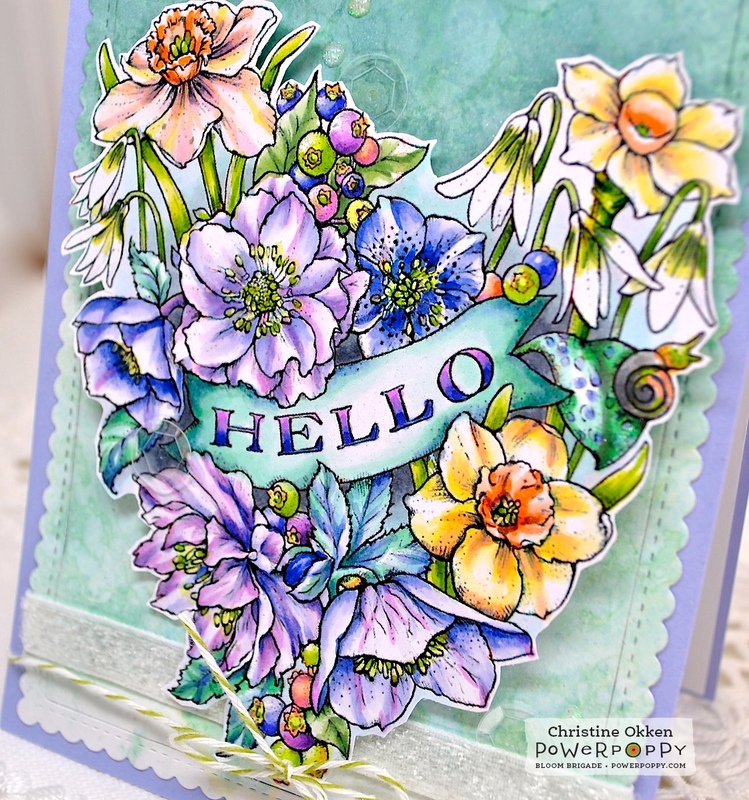 Love how you used all the little toile stamps - gorgeous design!